When Beverly (student) enthusiastically presents herself for her first day of flight instruction, Bill, her Certificated Flight Instructor (CFI), decides to spend some time in the classroom. Beverly knows a lot of facts about flying and shares her knowledge with Bill, but when he asks questions to test her understanding of the facts, she cannot answer them. During their first flight, Bill discovers Beverly has mastered a few basic skills, but her performance is awkward, as if she were working from a list of memorized steps. In the early stages of flight training, Beverly focuses all her attention on performing each skill. If Bill asks her a question or to perform two tasks at once, she loses her place and must restart. As she flies, she makes errors. When she catches herself making an error, she becomes visibly frustrated. Then sometimes she does not notice an error and keeps moving ahead as if nothing were amiss. Since she is a beginner, Bill is patient. Months later, Bill is helping Beverly prepare for her practical test. Remembering her first days of instruction, Bill feels as if he were working with a different person. The breadth and depth of her classroom knowledge has grown. Beverly does not simply reiterate facts—she applies her knowledge to solve the problems Bill gives her. In addition to the required knowledge listed in the Practical Test Standards (PTS), she also knows about her local environment, such as the nuances of local weather patterns. In the aircraft, once awkward and tentative actions are now performed with a steady hand and confidence. Skills she struggled to learn in the past have become second nature. When asked to do several things simultaneously, she performs well. When Bill interrupts her, she mentally bookmarks where she is, contends with the interruption, and then returns to the task at hand. She still makes errors, but they are small ones that she notices and corrects right away. She still gets frustrated when she makes an error, but she takes a deep breath, and continues on her way. She makes flying look easy, and Bill is confident that tomorrow’s meeting with the examiner will go well. She has developed a collection of memorized facts into an in-depth understanding of how to fly and learned to apply this knowledge to problem-solving and decision-making. Skills once performed awkwardly and deliberately are now performed smoothly and efficiently. She comfortably performs several tasks at once, deals with distractions and interruptions, and maintains her focus in demanding situations. Knowledge and skills are now orchestrated. She still makes errors, but they are less frequent, smaller in magnitude, and she quickly identifies and corrects them. Her motivation and enthusiasm remain as high as they were on the first day of training. She displays proficiency in all areas now: those at which she naturally excels as well as those she struggled to master in the past. She deals with psychological obstacles, such as frustration, that initially got in the way of her learning. She recognizes the importance of regular study and practice. This scenario illustrates the goal of an aviation instructor: to teach each student in such a way that he or she will become a competent pilot or aviation maintenance technician (AMT). In order to take a pilot or AMT from memorized facts to higher levels of knowledge and skill that include the ability to exercise judgment and solve problems, an instructor needs to know how people learn. Designed as a basic guide in applied educational psychology, this chapter addresses how people learn. A change in the behavior of the learner as a result of experience. The behavior can be physical and overt, or it can be intellectual or attitudinal. The process by which experience brings about a relatively permanent change in behavior. The change in behavior that results from experience and practice. Gaining knowledge or skills, or developing a behavior, through study, instruction, or experience. The process of acquiring knowledge or skill through study, experience, or teaching. It depends on experience and leads to long-term changes in behavior potential. Behavior potential describes the possible behavior of an individual (not actual behavior) in a given situation in order to achieve a goal. A relatively permanent change in cognition, resulting from experience and directly influencing behavior. Figure 2-1. An effective instructor understands the characteristics of learning and assists students accordingly. Research into how people learn gained momentum with the Swiss scientist and psychologist Jean Piaget, who studied the intellectual development of children in the early twentieth century. [Figure 2-2] His studies influenced others to research not only how people learn, but also the best ways to teach them, leading eventually to the establishment of the field of educational psychology. Figure 2-2. 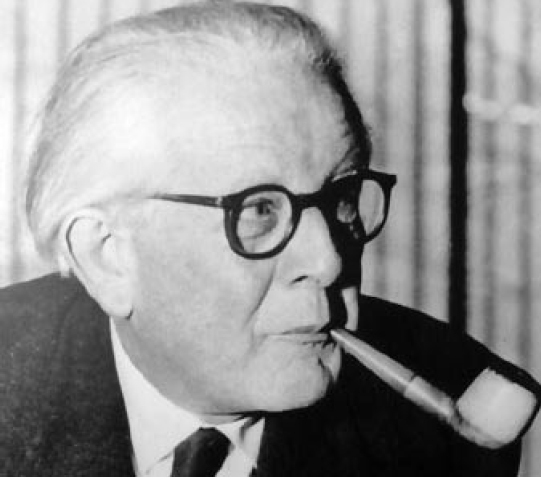 Jean Piaget, Swiss scientist and psychologist.